Perhaps one of the most distressing of all distress purchases is insurance. Insurance is a peculiar product - because it's entirely intangible and won't benefit the buyer until, maybe, sometime in the future. But while no one wants to buy insurance, it's a necessary evil. The policies aren't cheap and it's painful to write those cheques year in, year out. Historically, the majority of insurance companies advertised the same way: Either a straight-ahead litany of the facts, or a sombre voice using a spoonful of fear to warn you about the hazards of life. Then insurance marketing was completely disrupted by one company that opted for a new approach: Big-time humour. 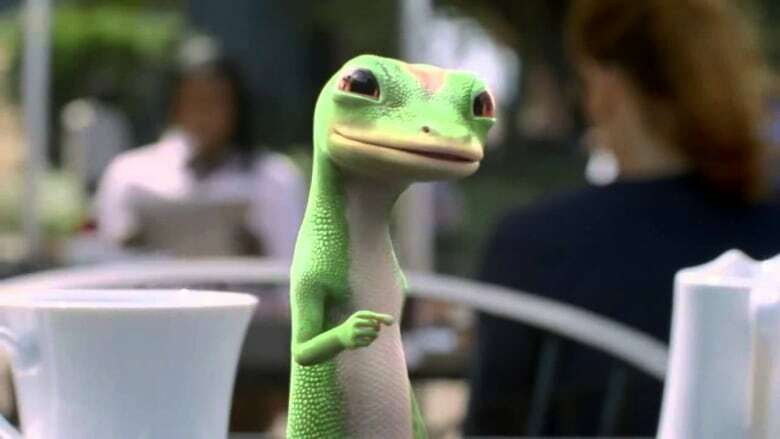 Back in 1999, Geico debuted its brand new mascot: The Geico Gecko. That year, a Screen Actors Guild strike prevented advertisers from using live actors. That was a big problem for Geico as the insurance company was about to roll out a big new television campaign. So, the animated lizard was born out of necessity. From that point on, insurance marketing took a big turn. More humorous campaigns started hitting the air, including the Aflac Duck, the "We are Farmers" campaign and Flo from Progressive. The strategy behind Progressive's commercials, using their bubbly, spokesperson, Flo, is to try to humanize insurance, making the complicated process approachable. Flo is aimed at the younger demographic just entering the world of insurance – with the goal of lightening the confusion that often comes with comparing insurance rates. It's been a success for Progressive. Flo has 4.6 million Facebook likes. There are even Flo Halloween costumes. But sometimes using humour in the insurance business backfires. In 2011, Allstate sent out a press release comparing accident rates to the 12 zodiac signs. The insurance provider used real data based on drivers' birth dates to make tongue-in-cheek comparisons to astrological characteristics. For example, Scorpios, which are said to be perfectionists by nature, had the safest driving records. Virgos, on the other hand, known as "worriers" had the worst. But the public didn't laugh. Forcing Allstate to release a follow-up statement clarifying that zodiac signs have, in fact, absolutely no role in how they base coverage and set rates. Allstate learned the hard way that humour has its limits. And sometimes it's best to go with the Flo. For more stories about Distress Purchases, click or tap the "Listen" tab above to hear the full Under the Influence episode. You can also find us on the CBC Radio app or subscribe to our Podcast.